The heyday for bike-sharing is over. First Gbikes, then Ofo and oBike. Dockless bike-sharing startups are hitting the breaks and pulling out of markets in Asia. The latest is Chinese dockless bike-sharing startup Mobike that announced its withdrawal from several Asian countries on March 11, to re-evaluate its unit in other overseas markets. “The decision is part of a plan to rationalize Mobike’s operations in Southeast Asia. We’re tremendously proud of what we achieved in Singapore, and would like to thank everyone who both rode with us and worked for us,” said Mobike in a statement. Mobike is the largest player in the Singapore bike-sharing scene, with a license to operate 25,000 bicycles. Its planned exit follows the wide-scale contraction in the market, on top of the bankruptcy of top competitor Ofo. oBike abruptly quit the Singapore market in June last year and is currently in liquidation. According to its liquidators, it owes $8.9 million to more than 220,000 deposit holders. 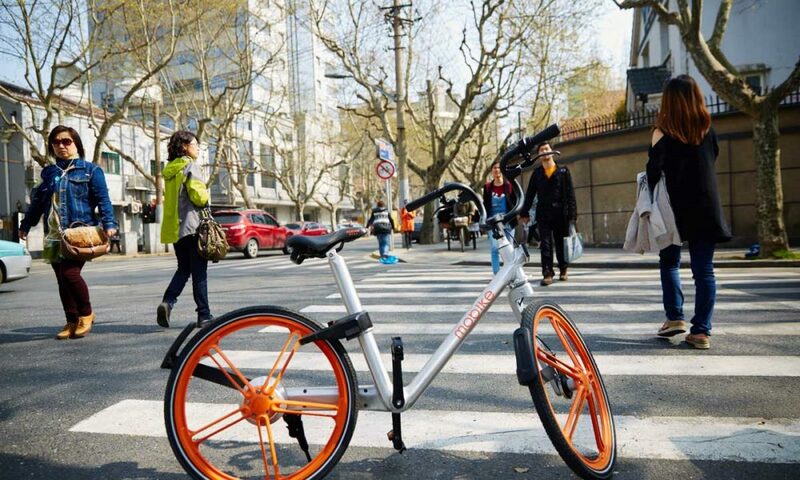 Mobike is similarly facing financial burden at a deficit of 681 million Chinese yuan (about US$101.7 million) before being acquired by Meituan Dianping, the Chinese online food delivery to ticketing firm. Although this new twist on an old form of transportation had sparked a positive outlook back when it first started, the optimism has died down as a fair share of inconvenience has arisen, including problems like indiscriminate parking by users and abuse of bicycles. The method, in turn, is also inflicting harm to the environment with an oversupply of shared bicycles. Land Transport Authority (LTA) in Singapore complained last year that nearly half of the 100,000 bikes allocated in Singapore were not in active use. 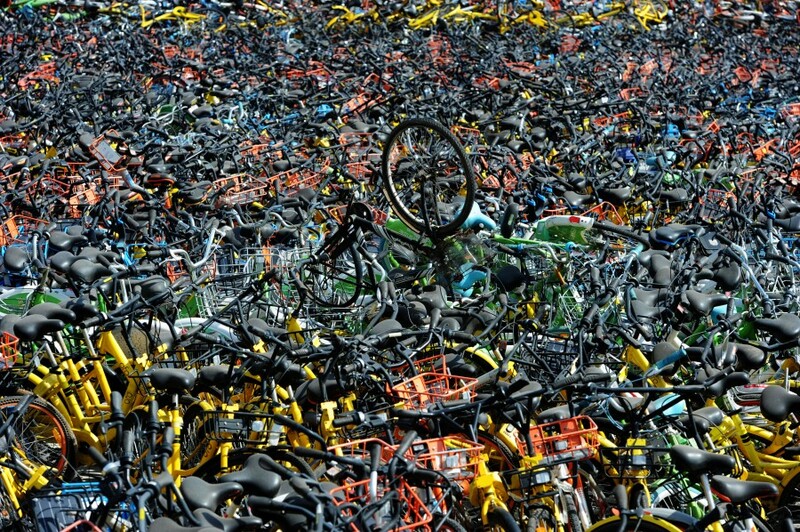 In fact, this bike wastage has accelerated to a more pressing matter as bikes are abandoned in the outskirts of Chinese cities in infamous bicycle graveyards, waiting around to die. A really tragic end to its initial aim of optimizing city resources and saving public space. Another problem for the bike-sharing industry is that it has also has been an extremely difficult business, to begin with. It is a highly competitive landscape with very low margins, and high capital expenditure, on top of strict regulations administered in certain countries. Bike-sharing companies are embroiled in expensive turf wars among rivals of both the same industry as well as ride-hailing players like Didi, Kuaidi, and Uber. Looking at the industry’s decline, this presents a sharp contrast to the promising start many investors had placed on bike-sharing. Previously, the Asia Pacific bike-sharing sector has enjoyed an influx of investment to expand quickly to other markets, allowing as many as 60 platforms to build up bike fleets and subsidize rides in an effort to outbid competitors. China’s largest platforms Ofo and Mobike raised nearly US$2 billion in 2017 alone, in order to expand quickly to other markets. It seems that shared bike providers now face a dilemma as their glory days come to an end, and they must now focus on where to they can recoup and concentrate on a long-term busisness model. A poll at the Asian Financial Forum revealed that 39 percent believe Southeast Asia to be the best investment prospect in 2019, favored over other choices like China (35 percent) and the United States (16 percent). This vote took place during the 12th Asian Financial Forum held on January 14 and 15 in Hong Kong and respondents of the poll view Southeast Asia to have the best potential investment returns, as businesses are shifting production out of China to countries in the region. 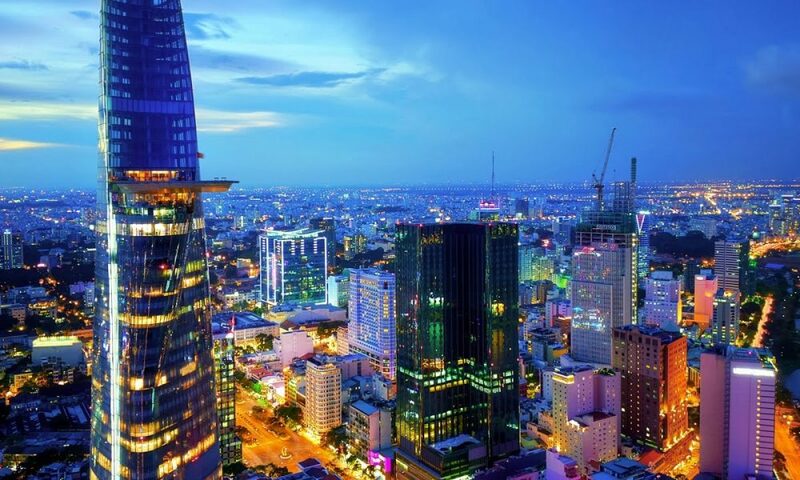 At the same time, another poll for Chief Executives at Asia-Pacific companies by PwC identified Vietnam as the hotspot among Southeast Asian countries. “We surveyed CEOs across the region where they wanted to put their money in the next 12 months. For two years in a row, Vietnam has come out on top,” said Raymond Chao, the Chairman for PwC in the Asia Pacific and Greater China. He added that this has much to do with what is happening around the world, and some CEOs are making adjustments to their supply chain in response to the ongoing trade war between the United States and China. Victor Fung Kwok-king, Chairman of the Fung Group and moderator of the event panel, said his companies are seeking to find a new base for manufacturing outside China. “We really need to think twice before finishing your products in China and attaching the ‘Made in China’ label, which will have tremendous duty problem in the US,” explained Fung. However, he also pointed out that the manufacturing sector in Vietnam has capacity constraints which may cause some manufacturers to max out their production capabilities. “Then the question becomes, which country is the one you would pick after Vietnam. Eventually, this could be countries within the ‘Belt and Road’ region,” said Fung. Southeast Asia is included in this extension. Other factors also play a role in driving investor interest in the region, which includes an emerging middle class and economic growth. Thanks to smartphones, increasing internet users has pushed the forecast for Southeast Asia’s digital economy to reach US$240 billion by 2025. This leaves plenty of opportunities for tech and online businesses, and by extension investment and venture capitalists. In fact, investors have already taken action. A look at the report by Cento Ventures on 2018 Southeast Asia tech investment revealed that there is a sustainable growth momentum for technology funding in the country, with last year record crossing US$11 billion. This amount almost doubles the US$5.8 billion investment in 2017 and suggests a healthy and growing interest in the investment and innovation space for Southeast Asia. For 2019, Cento Ventures predicts that that internet technology-related startups like Grab, Go-Jek, Tokopedia, and Traveloka will continue to attract capital this year. In fact, it is these five companies which accounted for 70 percent of that total – Grab (US$3 billion), Lazada (US$2 billion), Go-Jek (US$1.5 billion), Tokopedia (US$1.1 billion), and the SEA Group (formerly known as Garena) which raised a US$575 million convertible note offering. Besides, follow-on Series B funding round is also gradually growing as various startups move into a more mature ecosystem. Surprisingly, looking at last year accounts — Indonesia takes up more than 70% of the capital invested in Southeast Asia. “Jakarta becomes Southeast Asia’s startup capital surpassing Singapore in terms of the number of deals and investment amount,” Wilson Cuaca from East Ventures told TechCrunch. The early stage investor further predicts that as Indonesia’s startup scene heats up, regional seed and series A funds will move away from Indonesia and target Vietnam, Malaysia, Thailand, and the Philippines. In 2018, the distribution of deals had illustrated activity across the region. By deal count, allocations to Singapore, Thailand, Malaysia, and Vietnam appear to be consistent with the past few years. whereas the Philippines has been cooling off in both investment amount and number of deals since 2016. Looking ahead, Southeast Asia in 2019 remains a very attractive region for investors, as it will continue to gain the attention of institutional investors looking for growth markets outside of China and India. With high-quality startups exits in the plan, it is likely that the year ahead will bring more successful exit stories that will help inspire more founders to start companies and attract investors in Southeast Asia. Southeast Asia is expected to produce at least 10 new unicorns by 2024, according to a report released by Bain & Company. This is given the region’s investment growth as an important catalyst amidst a maturing line of startups. Bain & Company reports that the new phase of investment growth with deal value projected to a total of US$70 billion over the next five years. “Since 2012, 10 unicorns including Grab, Go-Jek, and Traveloka have created a combined market value of US$34 billion, ranking Southeast Asia third in the Asia Pacific (APAC) region, behind China and India,” the firm added. Deeper integration of the Association of Southeast Asian Nations (ASEAN) markets encourages companies to expand across borders, accelerating their growth. Bain & Company’s report drew on Grab as an example which received US$340 million in several rounds of venture funding in 2014 after moving its headquarters from Malaysia to Singapore. By adding new services, Grab expanded rapidly across eight ASEAN countries and eventually bought out rival Uber’s regional business in 2018. “Grab is the region’s number one ride-hailing business and its biggest startup success story, with a market capitalization of US$11 billion,” Bain & Co stated. 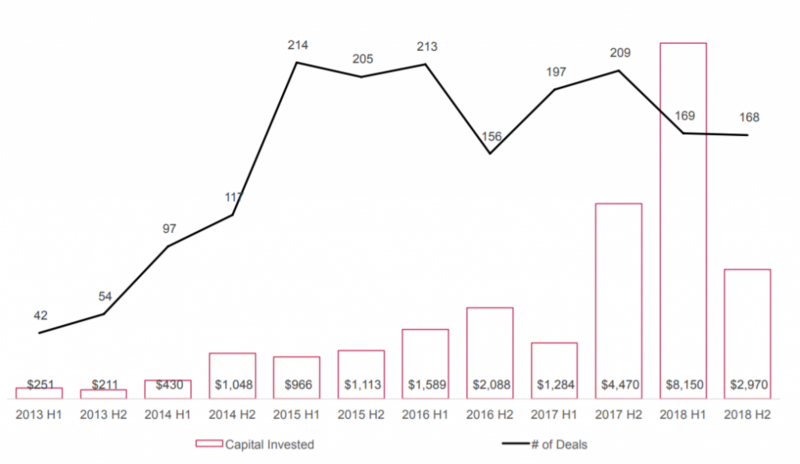 In 2017, the number of recorded venture capital deals saw a four-fold increase to 524, as compared to 2012, and private equity deal value increase 75 percent to US$15 billion, breaking out of a decade-long phase of flat growth, the report highlighted. A bulk of new capital went to technology companies, with deal counts rising 40 percent in 2017 from 20 percent in 2014, the report highlighted. More than 60% of Southeast Asian investors surveyed cited that technology is their main target for 2019, primarily fintech. The region also produced its first set of unicorns during this time frame. Private equity investment in the region in the past decade hovered roughly between US$6 billion to US$9 billion, the firm added. “The tipping point took longer to reach but years of solid economic growth, government support for startups and perseverance by private equity funds created the conditions for a rapid transition to the next phase of growth,” Bain & Co said. The report also noted how investors are attracted by the region’s strong macroeconomic fundamentals, the chance to invest in emerging regional firms and a deepening secondary market for deals of all sizes. Meanwhile, strong exit momentum and healthy returns are also contributing to a faster pace of investment by accelerating a healthy recycling of capital, Bain & Co. highlighted. In 2017, exit deal value in the region rose to US$16 billion, up 86 percent from the previous five year average, the report noted. 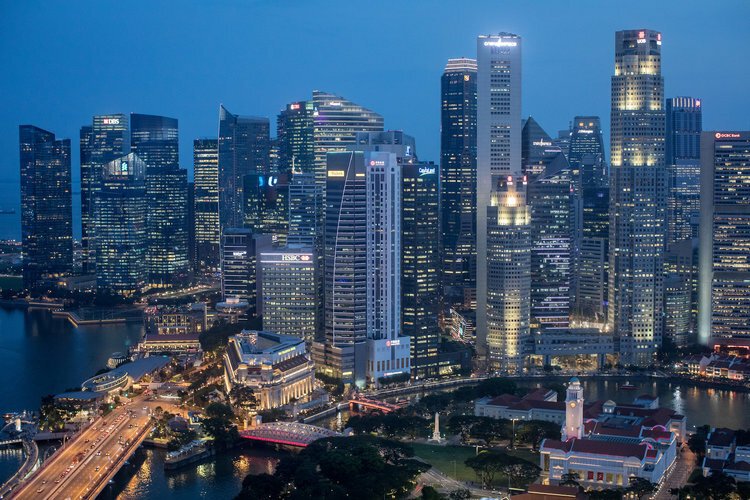 Whilst Singapore as Southeast Asia’s investment hub, the report noted that startup ecosystems are emerging across the region. A separate survey indicated that nearly 90% of investors see Indonesia and Vietnam as the ‘hottest’ Southeast Asian market outside of Singapore in 2019. “Together, Indonesia and Vietnam generated 20 percent of the region’s private equity deal value over the past five years, and that percentage is likely to grow,” Bain & Co added. With growth of investment in the region and a strong and healthy ecosystem in the region, another line of Grab, Go-Jek and Traveloka in the fintech industry might come to light in the next few years. Is the Chinese tech IPO wave just a hype? From Chinese phone maker Xiaomi to online service platform Meituan-Dianping, a huge number of Chinese tech unicorns are reaching maturity and has announced their intentions to IPO this year. 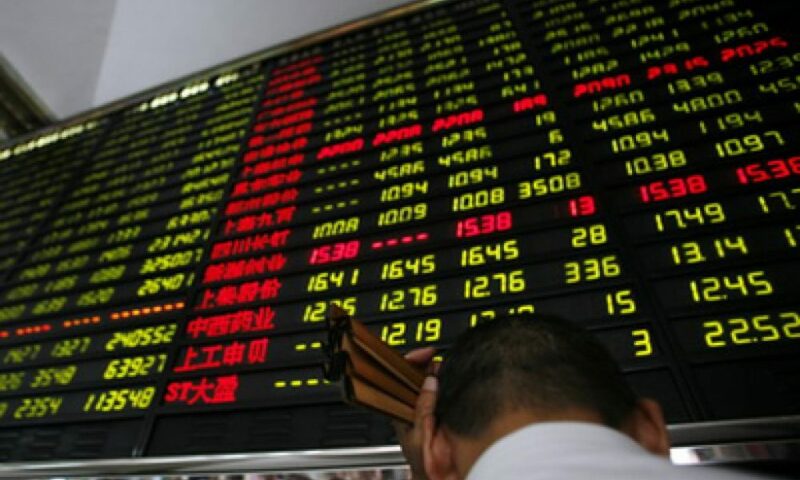 According to Dealogic, there are a total of 26 Chinese tech companies offering to sell US$85 billion worth of new shares, which accounts for 9 percent of the international IPO volume. Among this new wave of Chinese tech companies rushing to sell their shares include three companies that rank among the world’s 20 largest internet firms: Xiaomi, Meituan-Dianping, and Didi Chuxing. Recently listed, Xiaomi has reportedly drawn the interest in investment from three of the wealthiest people in China. Li Ka-Shing is said to invest US$30 million in the phone maker, while Alibaba founder Jack Ma and Tencent Chairman Pony Ma have also taken stakes in Xiaomi. However, not all can be said the same for other pricey valuations. Ping An Good Doctor, China’s largest online healthcare platform which debuted on the Hong Kong stock exchange in May has seen the slid of its shares below 11 percent of its IPO price on the second day of trading, as reported by Reuters. This was amidst a reported retail oversubscription of 663 times for its US$1.12 billion IPO, as well as being backed by seven cornerstone investors including U.S. asset manager BlackRock, Singapore sovereign wealth fund GIC, and Canada Pension Plan Investment Board. Tencent-backed Yixin, that debuted in November 2017 also shared the same experience, where it opened at HK$10 in the day only to be later trimmed by 5 percent at the end o the session, closing at HK$8.12. Its retail portion of the IPO was 560 times oversubscribed. What this says is that investors are interested to pour money into promising IPOs, but are also quick to withdraw in hope of making a quick profit during times when shares first debut. There’s also a reason why companies are tapping into the public market in haste. That’s to take advantage of a recent change in Hong Kong’s listing rules where biotech companies without revenue or profit the chance to apply for public listing. Besides that, the city’s bourse had also launched a China Depository Receipt program that allows China tech giants listed in Hong Kong or in the United States to have a dual-class offering in the mainland. It’s an ownership structure widely used by tech giants in the United States and gives founders stronger voting rights than other shareholders. Besides, after years of rapid growth in their home market, some Chinese tech firms are also now looking for the opportunity to expand to overseas market. Xiaomi, for example, plans to expand into Europe to compete with Apple and Samsung in the smartphone market. Companies are simply in good shape and ready for further growth. Hurun Research Institute reports that 151 companies in China have attained unicorn status by the end of the first quarter, with half of these unicorns incubated or backed by industry titans such as Alibaba and Tencent Holdings. Their combined valuations exceeded 4 trillion yuan (about US$630 billion). Moreover, according to a professor of accounting at Peking University Paul Gillis, there’s a fear of missing out and Chinese tech companies might receive pressure from investors to join in and join big. He added that Meituan-Dianping’s valuation target of US$60 billion is hard to understand, given that the company has revealed a steep loss of US$2.9 billion last year from share-based compensation. Moving forward, we have yet to expect Didi Chuxing and Meituan-Dianping which are slated for a Hong Kong listing later this year. The company based in Beijing is said to be targeting a US$60 billion valuation. Meanwhile, even bigger listings are slated down in the pipeline, Ant Financial is also gearing up for a public float that may happen as early as next year. The payment affiliate of Alibaba has just completed a mega funding round in June that valued the company at US$150 billion. With all these blockbuster IPO still standing in place, the fizz for Hong Kong IPO is not likely to go out anytime soon. Down the road, Hong Kong and China together could even end up being the largest issuing market for IPOs. Food delivery continues to dominate the flow of big capital and investors in India’s startup ecosystem with Swiggy being the latest to enter the unicorn league. The food delivery startup has successfully raised US$210 million in its latest round of funding from Russian billionaire Yuri Milner’s DST Global and existing backer Naspers. DST Global is one of the world’s most influential tech investor which counts Facebook, Airbnb, and Alibaba in its investment portfolio. For DST, this will be its third investment in India after online retailer Flipkart in 2014 and cab hailing firm Ola in 2015. The round also saw participation from US-based hedge fund Coatue Management and existing investor Meituan Dianping, a China-based provider of on-demand online services. It is with this latest funding round that Swiggy’s valuation has increased to US$1.3 billion as per sources with direct knowledge of the development. Besides, this also officiates the Bengaluru-based firm as one of the fastest internet companies to join the Unicorn club four years after it inception. That is less than half the time it took for its rival food tech company Zomato to earn the title. The last valuation of Swiggy was at US$700 million in February when it raised US$100 million from Naspers and Meituan Dianping. With this round, Swiggy’s existing capital will cross US$466 million, which is essential as it continues to compete with Ant Financial-backed Zomato and new competitor entering the space, which includes UberEats and Foodpanda. Swiggy currently has 35,000 restaurant partners and 40,000 delivery executives across 15 cities. It will use the additional capital to ramp up its supply chain network, expand to new markets and scale its headcount especially in the technology function. 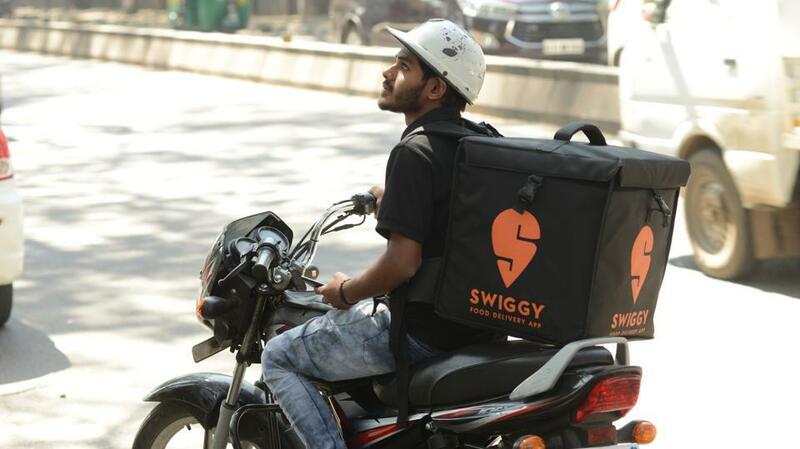 Swiggy has also been reportedly looking to increase its supply by exploring investment options with cloud kitchen players and restaurants for its Swiggy Access model even as the firm is working on a pilot of medicine delivery under its offering Swiggy Dash. If anything, this deal is expected to escalate the fierce competition in the food delivery space, and to an extent boost innovation of the services to grow beyond ride hailing. According to a Bloomberg report, more than 400 food delivery apps were operational in India between 2013 and 2016. The industry grew by 150% year-on-year and has an estimated Gross Merchandise Value (GMV) of US$300 million in 2016. At the same time, this sector has witnessed a lot of consolidation. While some ventures with unique ideas has managed to survive, others succumbed to market forces simply due to lack of bad timing or lack of funding. Currently, the momentum in the food delivery market in India is lead by Swiggy with about 11 million monthly orders followed by Zomato at about 7 million orders across India and UAE. While FoodPanda records about 1 million and UberEats about 750k per month. However, all is not fixed as in related news, Swiggy’s rival Zomato also raised a US$400 million funding capital, a news that came a few days after Swiggy’s own announcement of a US$210 fresh funding. However undeniably, the food delivery industry is nearing saturation. Question is – who will come up on the top: Swiggy, Zomato or new entries like FoodPanda or UberEats?